[Blind Gossip] The wife in this celebrity couple has made it clear that good mental health is absolutely priority. To that end, she has been emphasizing the need for peace and calm in their lives. So why go to Coachella? After all, it’s 250,000 people screaming and cheering and drinking and partying and creating chaos and loud music in the blazing heat of the desert! Do they really consider that calm? No… but it is good publicity! Guess we know where the priorities really are. 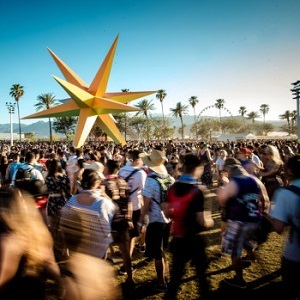 [Optional] Do you think you would enjoy Coachella? Optional – no I would not like that type of concert at all, too many drunk people and I hate the desert. I’ve gone 3 times, have tickets to wknd 2 this year but not sure … only 2-3 worth seeing/hearing. 2 of those times it was amazing (except for dust) – incl year Chili Peppers were playing. Justin Beiber and the Baldwin wife? And he’s on the stupid show now too and man, you can really see how off he is and it’s very obvious he’s just not that bright. Kim said something to him and he replied “I’m not rational, I’m spirited” I’m like, oooo.k. then. Wow. She’s now got her idiot fans believing she is going to law school and will take the Bar in 2022! Bahhaaaaaaahaaaa! OMG, between the two of them I don’t think they have a total I.Q. of 70.